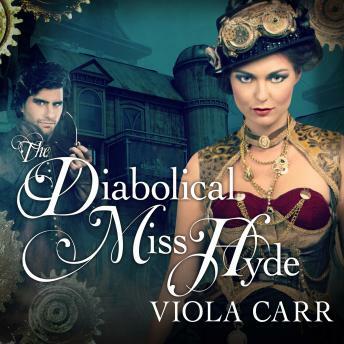 In an electrified Victorian London, Dr. Eliza Jekyll is a crime scene investigator, hunting killers with newfangled technological gadgets. She will need every advantage available to catch a terrifying new psychopath splattering London with blood. Hidden in the grimy shadows, the fiendish murderer preys on beautiful women, drugging them before slicing off their limbs. Finding the 'Slicer' can make Eliza's career . . . or unmask her darkest secret. Like her father, she has a hidden second self that emerges when she drinks his forbidden magical elixir. Just a few sips, and a seductive and impulsive Lizzie Hyde is unleashed. The members of the Royal Society do not trust Eliza, and they send their enforcer, the mercurial Captain Lafayette, to prove that she's a dangerous sorceress. The careful doctor knows that one wrong step can make her prey to the clever Lafayette, a man who harbors an evil curse of his own. No matter how much she craves the elixir, she must resist. But as the Slicer case draws her into London's luminous magical underworld, Eliza will need the potion's power to help her . . . even if it means setting the wild Lizzie free.